Darrell Noga has more than twenty-eight years of experience litigating a wide variety of cases, with an emphasis on representation of diverse governmental entities, Texas municipalities and private corporate entities in employment, civil rights, land use and other litigation, as well as in civil service matters and labor negotiations. Darrell has successfully tried numerous cases in state and federal courts, and has successfully argued before the Texas Supreme Court and various courts of appeal. He has been a frequent lecturer for Texas State Bar seminars and other professional groups and has served as Course Director for the Texas State Bar’s Seminar on Suing and Defending Governmental Entities. Over the years Darrell has also authored numerous articles and publications addressing diverse litigation issues and tactics, employment law topics, defense of governmental entities and many other legal issues. 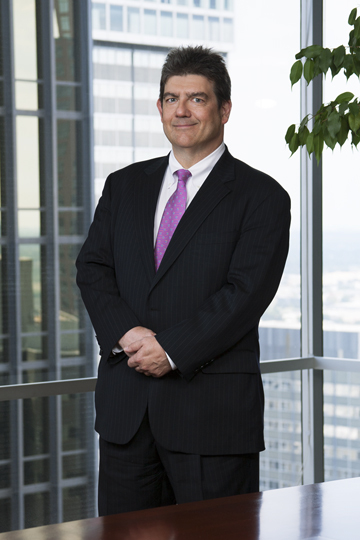 Darrell has been selected as panel counsel for the Texas Municipal League Intergovernmental Risk Pool, represents numerous Texas municipalities. Johndroe and Noga Teach Inverse Condemnation, Tort Claims Act and Governmental Immunity at TAMU School of Law. Sovereign Immunity : Bar To Damage Suits Only? Accident Review Policies: Help Or Hindrance?